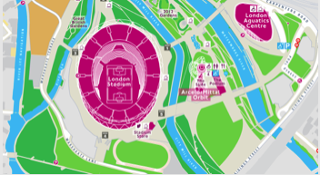 The value of the digital mapping sector is set to soar over the next few years, increasing at a Compound Annual Growth Rate of nearly 14% to $5.57bn by 2020 as location-enabled services transform numerous sectors. And with ever-increasing access to what’s known as ‘downstream’ space data such as GPS, the opportunity to innovate in this space has never been greater. 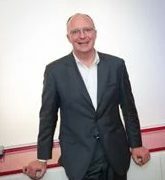 Tim Fendley, the Founder and CEO of Living Map (www.livingmap.com), launched his digital map and data platform in early 2016. 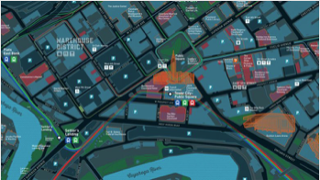 It provides powerful, bespoke, digital map applications to public-facing places such as venues, transport hubs and cities, and to B2B customers like research facilities, factories and commercial premises. Although it launched in 2016, the idea for the business had been in gestation for number of years and took time, patience and resilience to bring to market. As part of that journey Living Map grew from a team of three working on prototypes, to securing over £1.1m in investment earlier this year and expanding to a team of over 30. However, like the majority of start-up journeys it wasn’t all plain sailing, and we’ve asked Tim to share his thoughts on how to give yourself the best chance of navigating this testing process. 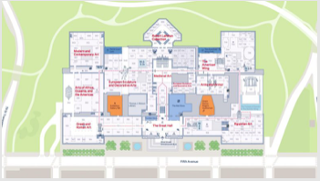 TF: I was running my other business – Applied Wayfinding – when the need for effective digital map tools started to become increasingly apparent. The idea for a bespoke, flexible and powerful digital map platform that could enable indoor and outdoor places to create rich experiences for their users began to take shape, but despite considering myself a design industry veteran, starting a tech business was new to me. With a push from friends and family I bootstrapped the business, employing a skeleton staff of two developers to prototype the technology stack required to create flexible digital map systems. Once we had the first iteration of the platform in place, I started talking to the marketplace and investors. This journey was full of bumps in the road, but the most important thing I realized while building Living Map is that setbacks are par for the course. As long as you can learn from them, compartmentalise them and move on, they are actually the experiences that are most valuable to your success. After a while I learned to embrace setbacks as opportunities to refine our product and our business case. TF: In the early days I was buzzing with excitement about the opportunity I saw to bring our map technology to market and went straight out to talk to VCs to start raising investment. At that stage I believed that the vision I had and our prototype platform were enough to sway even the most grizzled investor, without really considering what they were trying to get out of the process. After several very polite refusals, it was evident that we weren’t ready. I hit pause on our VC aspirations, took seed capital from family and friends to develop the product for some initial clients, and a while later went back to the drawing board on our pitch for institutional investors. I learned that it’s very important to keep your pitch simple initially. Focus on building credibility around the team, size of the market/opportunity and early customers as these are key factors that will motivate a VC to invest. It was also essential that we road-tested assumptions with investors and iterated our story after every meeting. By the time I’d refined the investment pitch properly I was on slide deck version 42! TF: Even if you’ve created the technology, there’s still an awful lot you need to do to turn it into a successful business, and it’s important to get good senior people in place as soon as you can. For Living Map, getting our Commercial Director in place was key to moving the business forward. Clearly it’s not always easy for a start-up to do this before you have secured investment, but the sooner you can get people involved in the business who have the experience that you don’t, the better. Sometimes this will be on a part-time or freelance basis, and tapping into the network and resources of organisations like SETsquared can help with that. 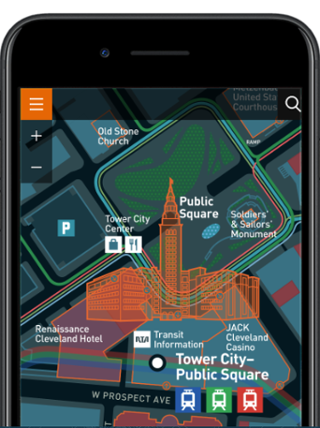 Living Map spun out of my original business Applied Wayfinding, which is a consultancy in the urban wayfinding space – so we were able to use our network there to secure some fantastic early customers, which included the Met Museum, Heathrow Airport and the City of Cleveland in the United States. Having such prestigious brands as customer case studies helped us to rapidly build our sales pipeline. In the B2B world, there is definitely a growing willingness to accept the risk that comes with working with startups, but getting the first few relevant, credible, reference projects/customers under your belt is essential, and my advice would be to invest your limited resources in landing a few high profile customers whose names carry weight in the sector or verticals you’re targeting. These case studies will open doors for you. TF: There are many start-up support and funding initiatives out there but it can be hard to navigate your way round them and know what will be most effective for your business. Joining SETsquared has been great because they act as a central resource for the various funding programmes and initiatives that are available and have a great network of experts whose expertise you can draw on. We also took part in SETsquared’s Entrepreneur’s Programme, which I wouldn’t hesitate to recommend to other tech entrepreneurs out there. It enables you to stress test your idea, to see if you’ve got a viable business as well as refine your proposition and target market. It really was pivotal to getting the company to where it is today.